Phoenix Plumbing and Drain is a family-owned business, serving the Greater Phoenix area for any and all residential or commercial plumbing needs. We get the job done right, the first time and on time. There is no job that is too big or too small for us! Whether you just need help installing a toilet or you need a trusted vendor to re-plumb your entire home, we will provide high quality work at an affordable price. We’ve helped various types of businesses across the Valley for 20 years. We’ve worked with a wide range of companies – from restaurants to medical offices to malls – for any plumbing related issues, becoming their trusted commercial plumbing partner. Is your tub or sink having difficulty draining? At Phoenix we are experts in drain cleaning. We will clear a clogged or slowed drain by cabling the line to remove the blockage. Is your sink or shower faucet dripping? At Phoenix Plumbing we will detect the source of the leak and repair the pipe to stop the leak. No leak issue is too big or small for Phoenix Plumbing to tackle. Are you continually hearing the annoying noise of your toilet filling? Is there water leaking on your floor around your toilet? Toilet repair and replacement are some of our most common plumbing jobs. We promise you honest and fair pricing. We promise our services will be completed accurately and efficiently. We promise not to upsell you on anything you don’t actually need. 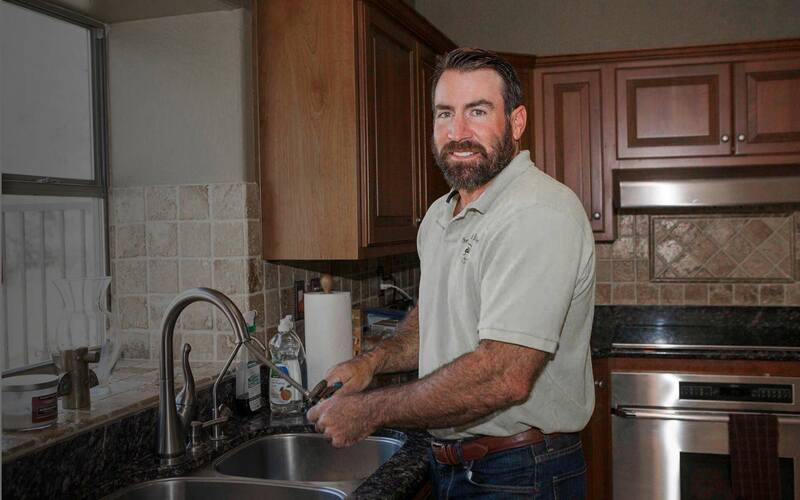 Phoenix Plumbing and Drain has been my go-to company for the last 10 years! I will not refer or use anyone else. The two most important qualities in the service industry are honesty and workmanship. They carry a 10 out if 10 in both regards! I could not find a plumber to fix my Instahot for a reasonable price. Every plumber wanted to replace it and sell me a new one. Joe came out and said that I just needed a new part. He ordered the part and fixed my Instahot in no time at all. He was on time, saved me money, and showed me that honest plumbers do exist! I will not hesitate to call Phoenix Plumbing and Drain again for any plumbing related issues! They came out right away and took care of our clogged kitchen drain. Professional, courteous, and reasonably priced. Joe Herzog is a life saver!… He was able to fix my problem by the end of the day and saved me a lot of time and money! I would HIGHLY RECOMMEND Phoenix Plumbing to anyone! Looking for a quality & affordable plumber? Family owned and operated and serving the valley since 1998.